Simply Natural Gourmet Cookbook / Dinner Recipes / Radicchio, Basil, Chard Tabbouleh, A Variation! Radicchio, Basil,Chard Tabbouleh, A Variation! Middle Eastern tabbouleh is such a versatile dish that can be used as a healthy grain and vegetable side dish for just about any main entrée protein. 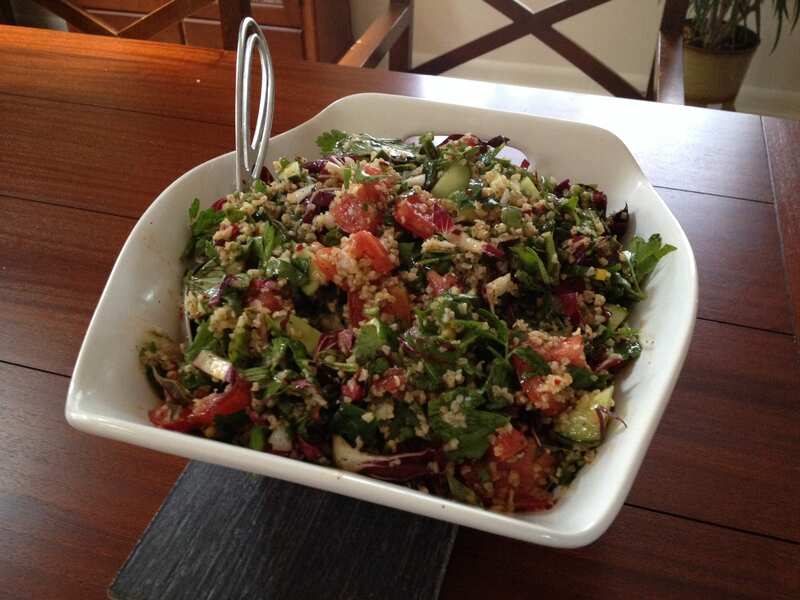 Tabbouleh is fabulous as a stand alone salad as well! For this nutritious tabbouleh variation, I have used an abundance of radicchio, fresh basil and Swiss chard as well as the traditional ingredients of parsley, cucumber and tomato with just a bit of mint laced bulgar, all dressed up in lemony olive oil and a dash of Aleppo. 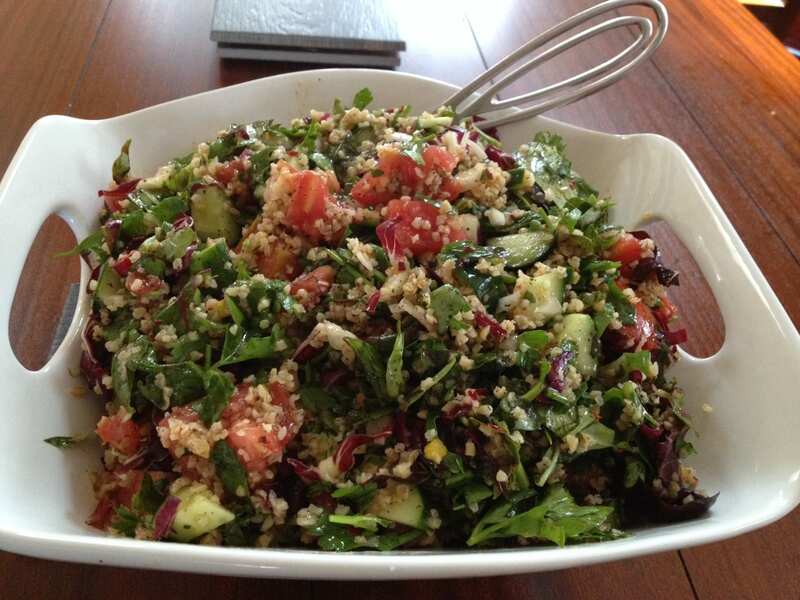 Radicchio, Basil, Chard Tabbouleh, A Variation! Just delicious! Perfect with lamb, chicken or beef, great all by itself!